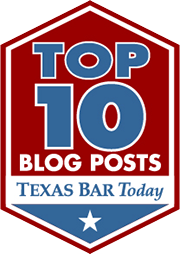 Assault Family Violence is one the worst misdemeanor charges a defendant in Texas can face (the other being DWI). Worst as in the collateral consequences of a conviction, or even a plea for deferred adjudication, can be life-changing. As a result of the serious nature of these charges, many family violence cases end up set for trial. At its core, a family violence case is still an assault, and there many defenses to an assault charge, including self-defense. If you are looking at a jury trial for an assault, one thing your lawyer must prepare for is the jury charge. That is, what the jury will be instructed to do once evidence is considered. If you are trial strategy is based on self-defense, then you want the jury to be able to consider that defense in the jury charge. What’s the law on self-defense in family violence cases? It’s the same as self-defense for any other type of assault.